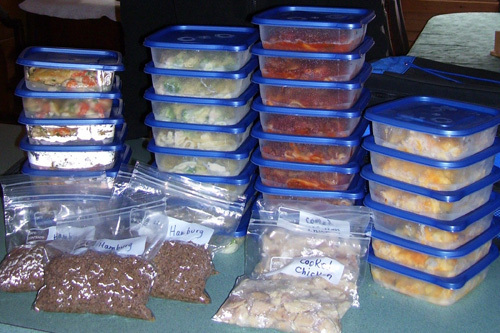 One of the best ways to save time and money in the kitchen is to meal plan and use your freezer to prep and cook ahead. I recently shared 21 meals you could make in an afternoon, but wanted to also encourage you to check out another way to learn and increase your meal planning menus. The eBook Bundle deal I’ve mention this week has a number of books included that are entirely focused on helping in the kitchen and figuring out what’s for dinner. Plus when you grab the bundle you also get 3 months free from She Cooks Dinner meal plan service! There are a lot of other great books included as well, but wanted to share how great all these were just to get you focused in the kitchen. The Bundle deal ends this weekend, and is a one-time offer from lots of different bloggers all coming together.